Helsinki in the spring is the place to be! On one chilly Friday night my friend Satu and I met up with Jesper at the train station in central Helsinki. We had decided to celebrate Walpurgis the Finnish way. By that time, I had already spent a few nights on the road but Jesper was all fresh after a whole week of working. Here’s the tale of all the things we did and all the sights we saw, and how we ended up sleeping in a prison. 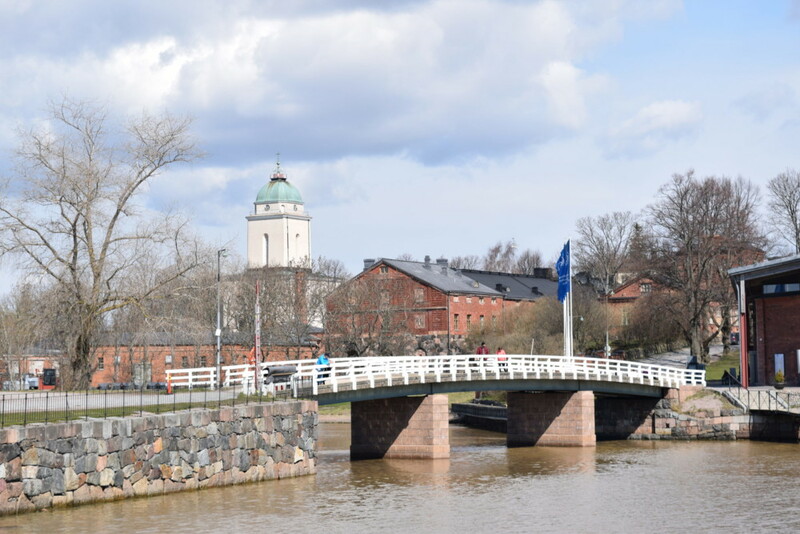 The Finnish capital is one of my favorite places in Europe; it reminds slightly of Western Europe but it has its own eclectic air. 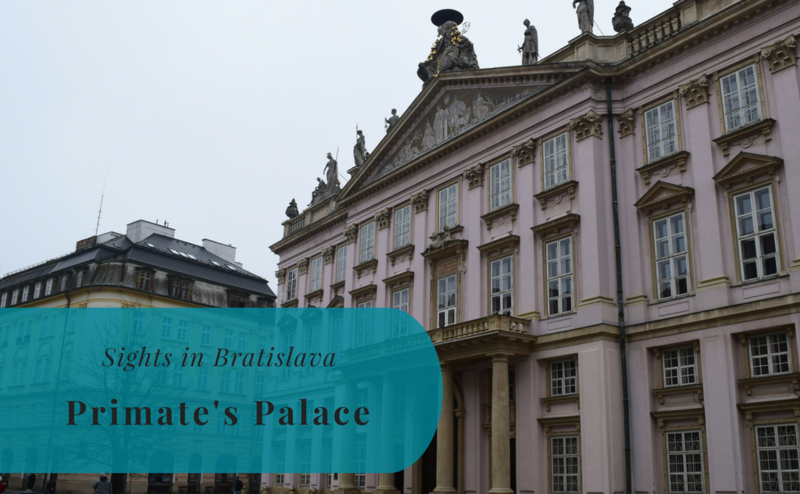 It was not our first time together in the city, but as is the case with many a European town, it is a place that should be visited in spring or summer. 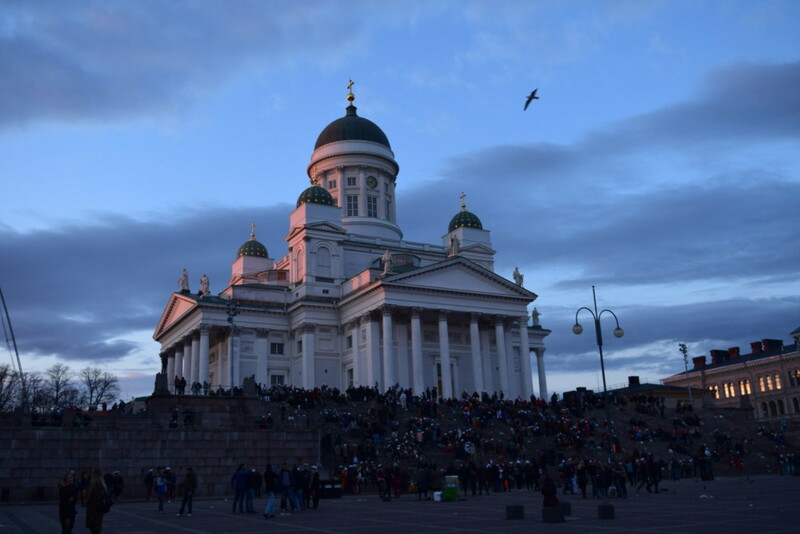 Helsinki, in Swedish Helsingfors, is the political, educational, financial, cultural, and research center of this northeastern country. In fact the city is quite young for being such a major city. 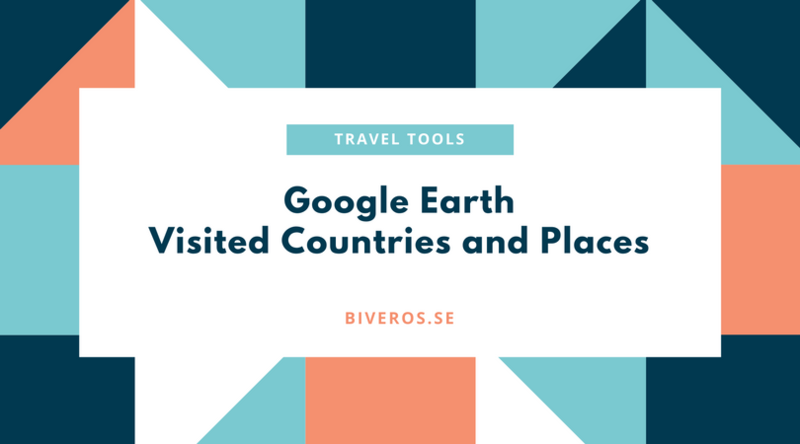 It was established by Swedish king Gustav I in 1550 as a trading town and it was not until 1812 (and Russian rule) that it became the capital of Finland. 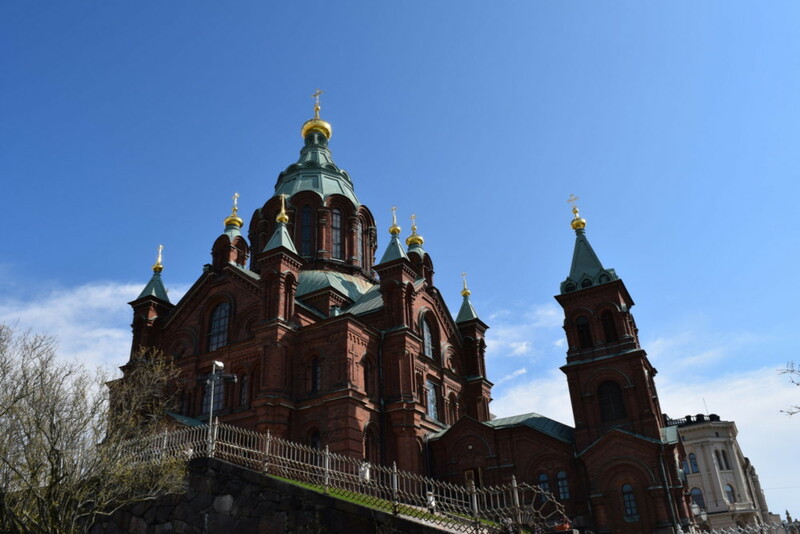 The capital was moved from Turku to Helsinki by czar Alexander I of Russia after Russia had defeated Sweden; the aim being to reduce Swedish influence and to bring the city closer to St. Petersburg. A couple of decades later the only university, originally located in Turku, was moved to the new capital. 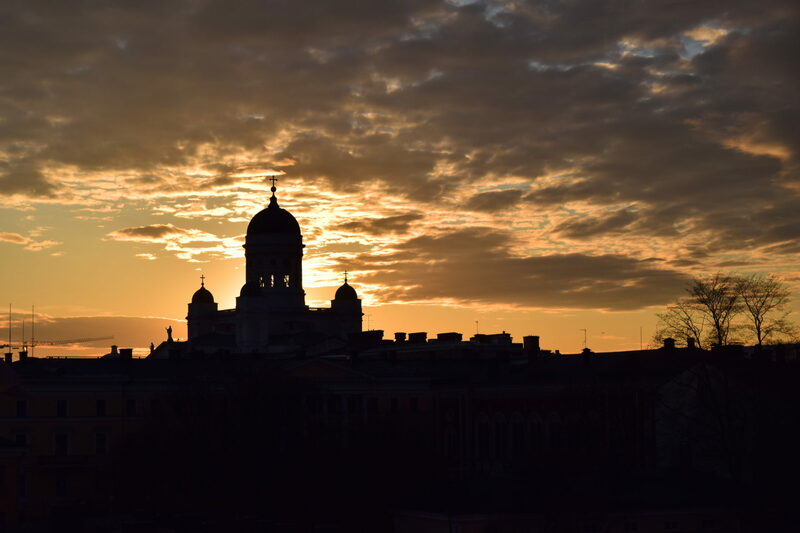 What really makes Helsinki special is the tiny downtown core, which was built in neoclassical style to resemble St. Petersburg. 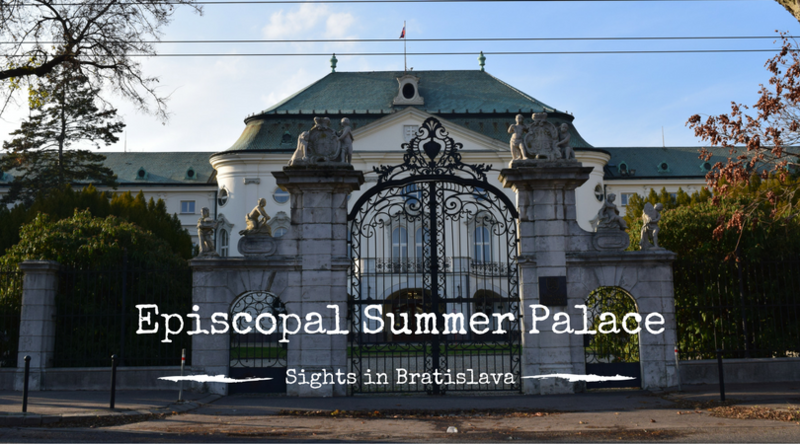 It is here that you find the university, the government palace and the cathedral embracing the Senate Square. Another typical characteristic is the Art Nouveau or Jugend architecture that is prominent for such areas as Katajanokka and Ullanlinna. This architectural style was influenced by the romantic nationalism of the late 19th and early 20th centuries. 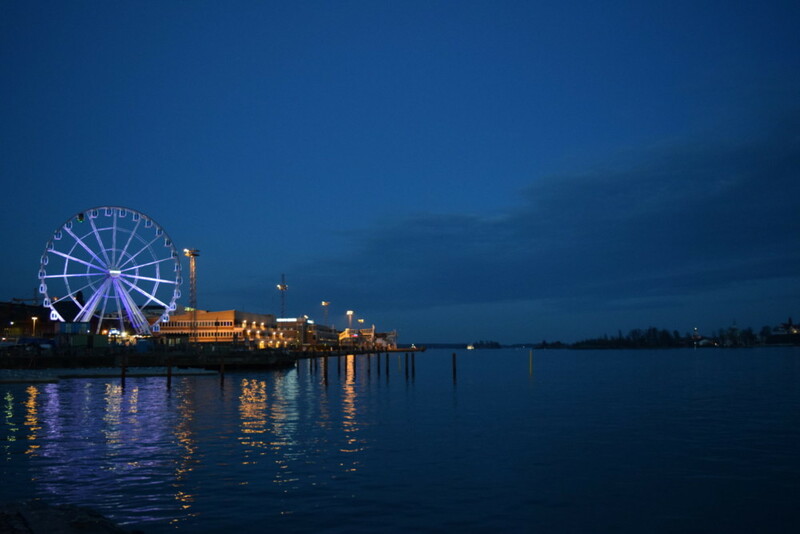 We had a total of two days to spend in the Finnish capital. As it was Walpurgis Eve on Saturday, we had decided to participate in the evening festivities at the Market Square. If you are interested in reading more about Walpurgis Eve, we have written about it here. The morning, however, we wanted to dedicate to history. 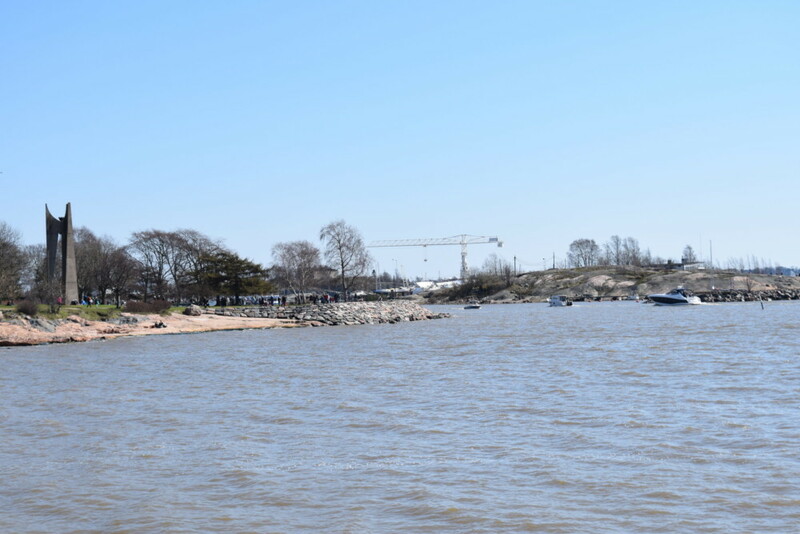 So, after enjoying a hearty breakfast in a true prison milieu (read on to find out how we ended up in prison), we walked down to the Market Square to catch the boat to Suomenlinna. This old sea fortress is really worth a visit and especially so on a sunny Saturday in spring. On Sunday we took a long walk to check out the Vappu (or 1st May) celebrations in the city – and to enjoy the sunshine as well. Our walk began at Kamppi from where it continued down Bulevardi to Hietalahti. From Hietalahti we kept walking until we came to Kaivopuisto and via Ullanlinna back to the center of the city. So, what are these places? And why should you go there? Kamppi, or Kampen, is a neighborhood located in central Helsinki and the name of area derives from the Swedish word kampen which means battler. It is here that Russian forces used to have their barracks and training field. Before 1929, there used to be Jewish market in the area. Nowadays there is a square in its place, it’s called Narinkkatori in Finnish and Narinken in Swedish. This time it is the Russian word, “на рынке“, (on the market) that has served as a source of inspiration. Can you see how the languages have been intertwining for ages? And that is part of the Helsinki charm because these cohabitation between cultures and languages can be sensed everywhere. Bulevardi is one of the places to go if you want to familiarize yourself with architecture, art and good food. Here you find inspiring art galleries, cozy cafés and restaurants serving delicious food. The boulevard starts at the Erottaja square and goes all the way to Hietalahdentori. Kaivopuisto, in Swedish Brunnsparken, is the oldest park in central Helsinki and a popular picnic spot during vappu. The residential area nearby houses many embassies and the park itself hosts concerts and events. There is also a nightclub from the 1830s. Just imagine that! Ullanlinna, in Swedish Ulrikasborg, is the southern-most district of the capital and a good place for enjoying Art Nouveau/Jugend. A climb up to the Observatory Park is almost compulsory. Before writing more about our stay in prison, I’d like to explain the language issue here. Why is it that I insist on writing the Swedish names of the places as well? As you may or may now know, Finland is a country with two official languages – Finnish and Swedish. And that’s why we mention both versions in this blog. And prison? How did we end up there? 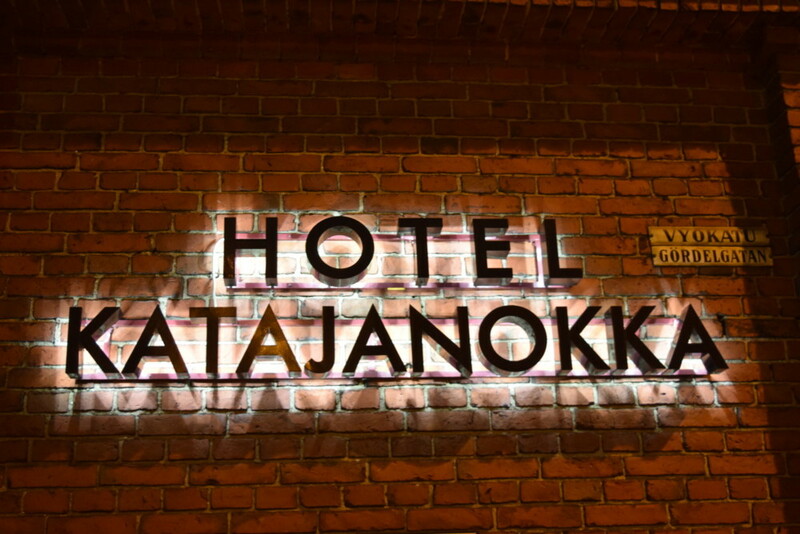 Hotel Katajanokka prides itself with being the oldest hotel building in Finland. The oldest parts of the building has existed for more than 170 years; the hotel opened in May 2007. Some of its more famous “residents” include one former president (Risto Ryti) and seven ministers (of governement). Yes, it used to be a prison. And we lived there for two nights. The prison itself was closed in 2002, so nowadays one has to pay to stay. It was simple, and spooky. 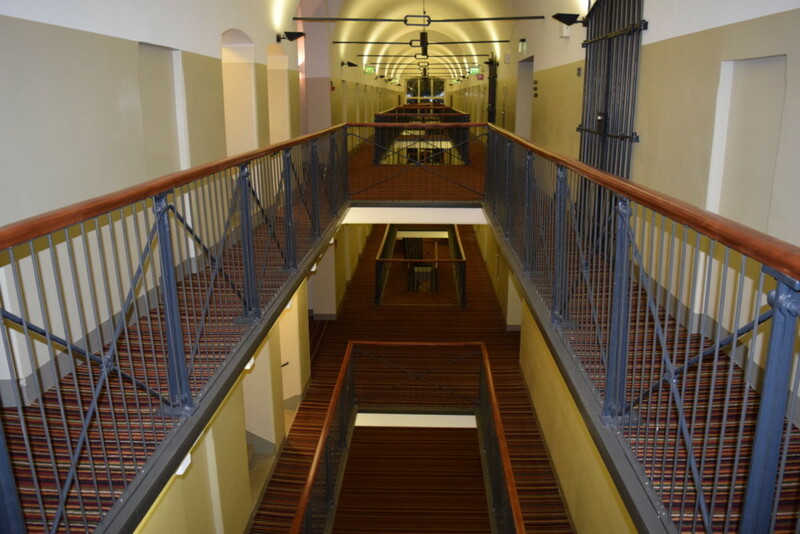 Actually the exterior of the building has been preserved, as has the central corridor of the old prison and even the old prison wall. And the breakfast was great. I also like the location of the hotel. 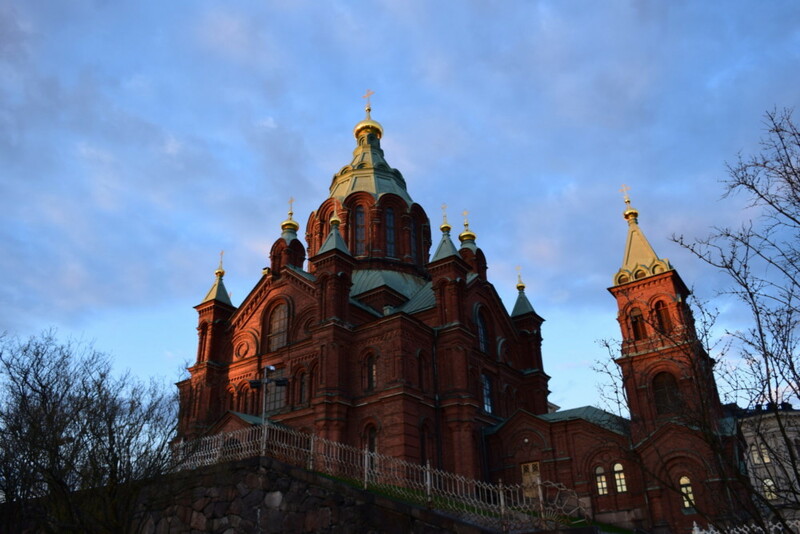 Katajanokka is a charming district of Helsinki, with the Uspenski (Russian Orthodox) Cathedral being the most impressive sight. 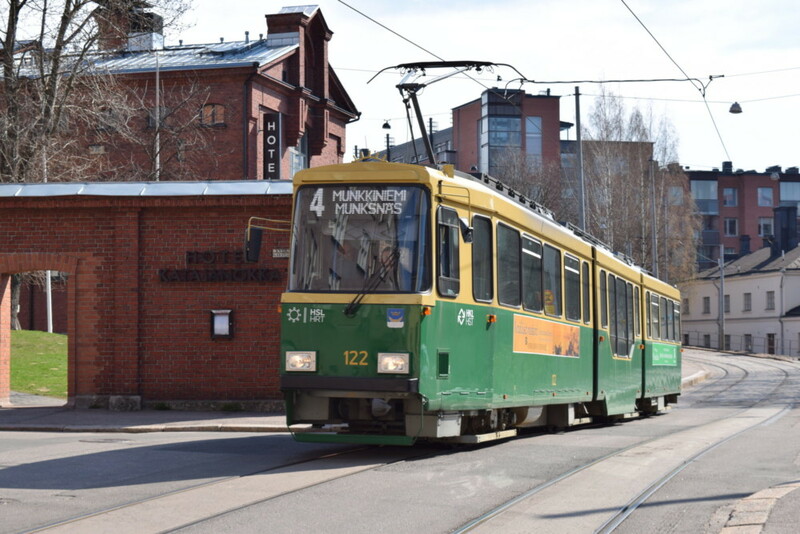 There are at least three ways to get to Helsinki from abroad. 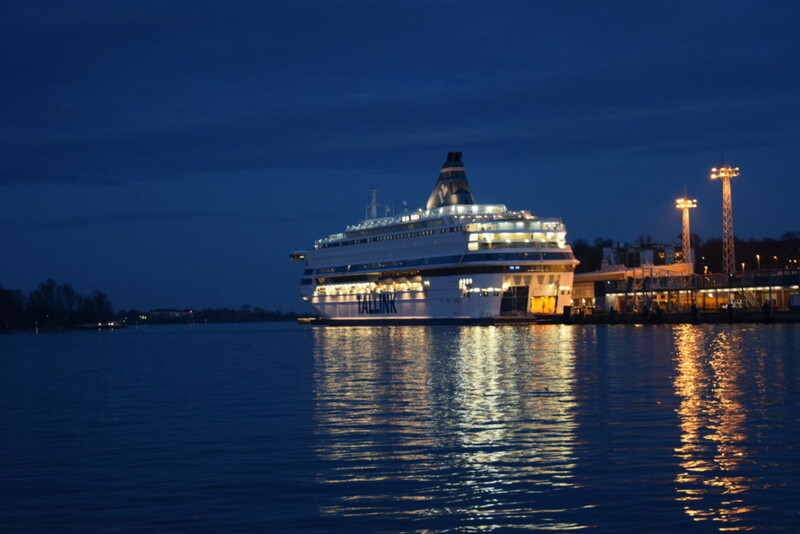 You can catch a ferry from Stockholm, Åland or Tallinn. And St. Petersburg. You can enjoy a train ride from Russia (or from other Finnish cities). 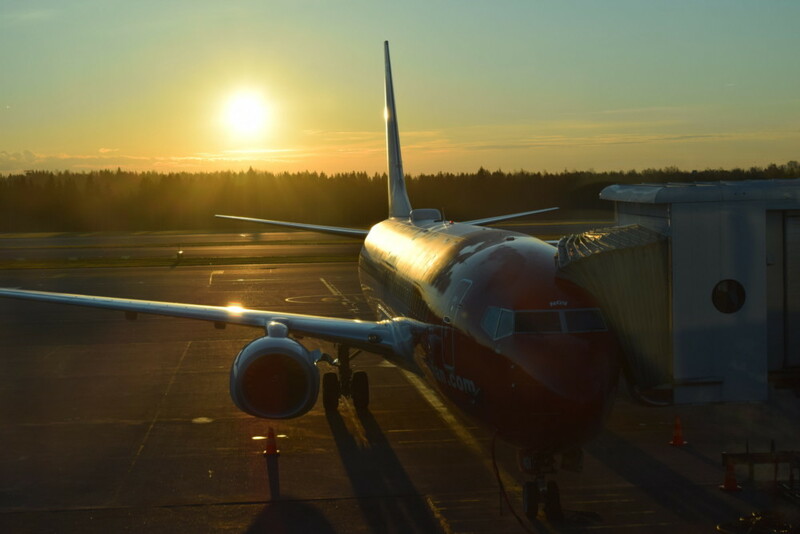 The third option is to fly: our airlines of choice are Norwegian, Finnair and SAS and they all fly to Helsinki. Finnair has several routes to Asia. One of the essential parts of traveling is the ability to get home after a trip. About an hour before we were planning to go back to the airport, we received a text message that was quite disturbing. The message from our airline this trip – Norwegian – stated that our flight had been cancelled. Well, what else to do in that situation than go to the airport to try to get on another flight? It turned out that it’s not so easy to get on another flight with an airline that does not cooperate with the other mayor airlines. So we had to choose between paying several hundred euros to purchase new tickets with Finnair or SAS or we could spend another night in Helsinki (or someplace thereabouts) and return home the next morning via Copenhagen. So we decided to come a bit late to work the next day and were booked on the first plane to Copenhagen the next morning. Yes, Denmark was not really in the correct direction but still, this option was better than having to wait until the next evening instead. Another night in an hotel with paid dinner was also quite nice. We had time to see a bit of Vantaa, which was not as bad as it might sound. Getting up at 4 a.m. Finnish time on a Monday was less fun. After a short flight to Copenhagen and an hour of waiting at Kastrup Airport we were finally on another flight and on our way towards Stockholm Arlanda Airport. An hour’s flight later and we were back in Stockholm and on the bus to work.